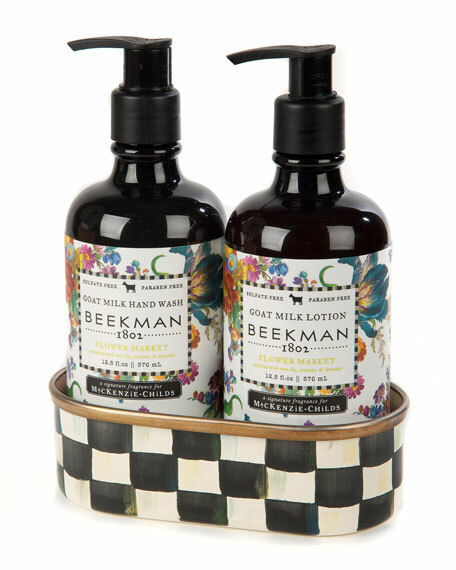 Three-piece set includes Beekman 1802 Flower Market hand soap and lotion, housed in enamelware caddy. Heavy-gauge hand-glazed steel under body caddy. Goat milk hand wash and goat milk hand lotion, each 12.5 fl. oz. / 370 ml. Enamelware is dishwasher safe; for best results, hand-wash with mild soap and dry immediately.